Did you hear the news? 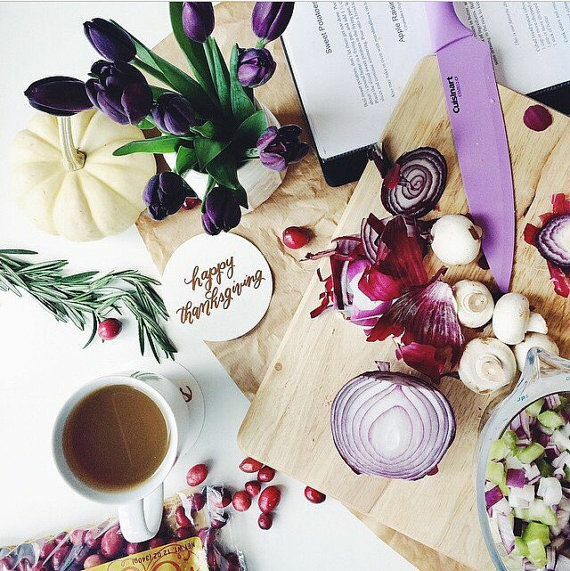 Break out your pumpkins and seasonal decor, you guys! Because the best part of the year is finally here! Yep, you guessed it! I'm a total fangirl for fall. Just yesterday I indulged myself in my first pumpkin spice latte of the year and now that we're just days away from October I'm starting to think about pulling out all of my fall decor. Because what's not to love about peak leaf changing season, trips to the pumpkin patch, and cooler weather? Break out your blanket scarves and the fall boots, I say! Want to know what else I can't get enough of this season? 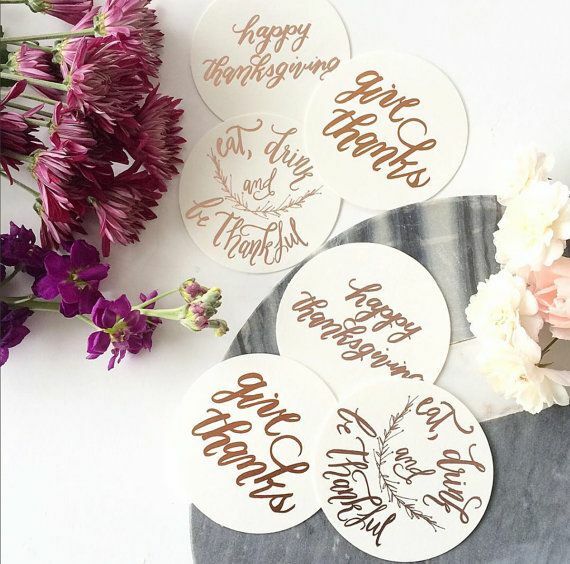 Say hello to the festive collection of party goods from Laura Hooper Calligraphy. 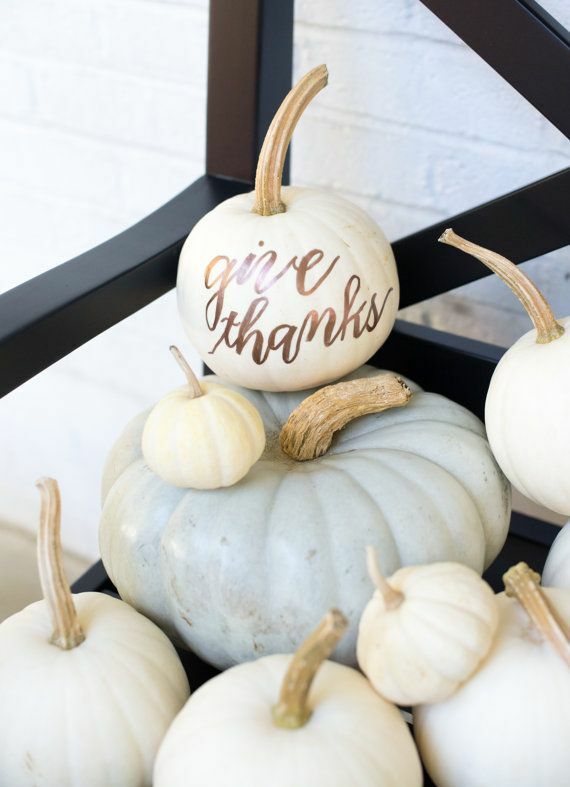 Because what could be more charming than a cute lil' pumpkin with hand lettering? Photo by Abby Jiu // Styled by Lauryn Prattes ~ grab yours here! So many fabulous ways to add a little fall flair to your homes this fall! Oh, and did someone mention wine? Such a darling hostess gift! 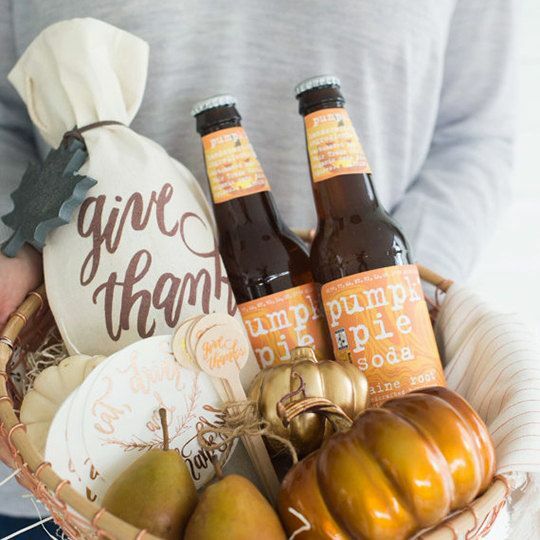 And this "give thanks" wine tote? So super cute, if you ask me! But these cute lil' pumpkins? Yep, these are my all time favorite! I just can't get over the cuteness, you guys! 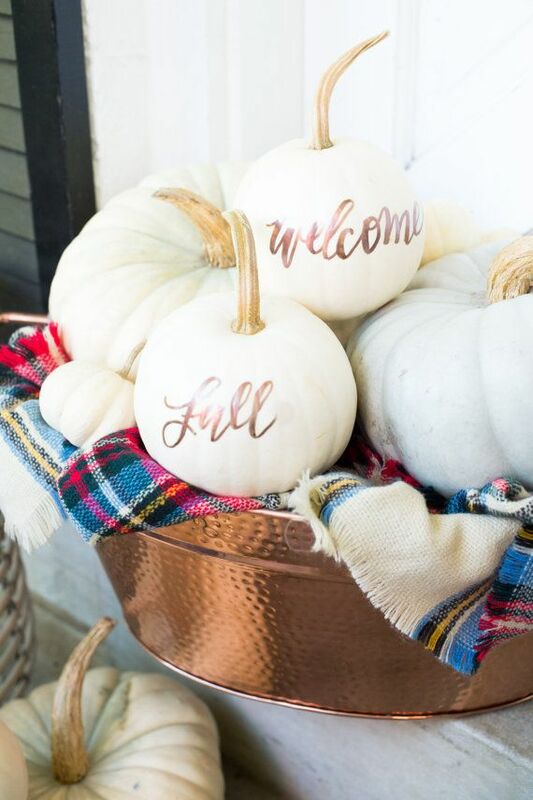 So much love for Laura Hooper Calligraphy and I just love that she's actually selling these real pumpkins in her shop! 1 One Comment " Handmade Harvest with LHCalligraphy "